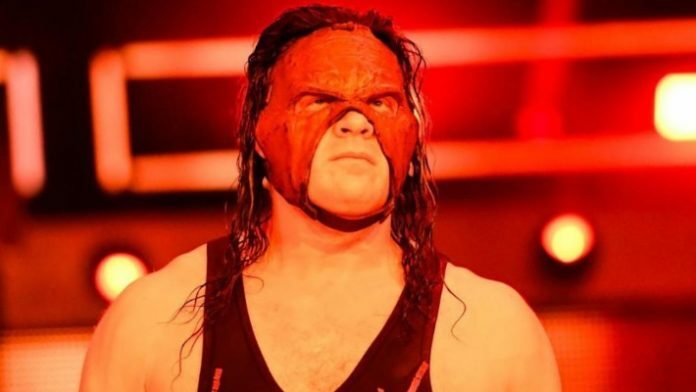 Former WWE Champion Kane has discussed his decision to participate in competing at the WWE Crown Jewel event last November in Riyadh, Saudi Arabia at the King Saud University Stadium that aired on the WWE Network. This wasn’t a popularity decision and caught fire when it went out of the wrestling bubble. It all came down to the public backlash over WWE’s controversial decision to continue forward with this show even though multiple publications came out and stated otherwise. After it was reported that the Saudi Arabian government ordered the murder of Jamal Khashoggi, many people thought WWE shouldn’t move forward with the show just weeks after the incident. Despite this heat that WWE received because of their relationship with the Saudi Arabian government, they held the show in the country. Kane talked about why he decided to go through with wrestling at the show during a Reddit AMA. Kane and The Undertaker lost to Triple H and Shawn Michaels in a tag team match at the Crown Jewel special. For those who don’t know, Kane, real name Glenn Jacobs, is the Mayor of Knox County in Tennessee. As of this writing, WWE has yet to confirm their next show in the country, but it’s expected to take place in late April just like last year.